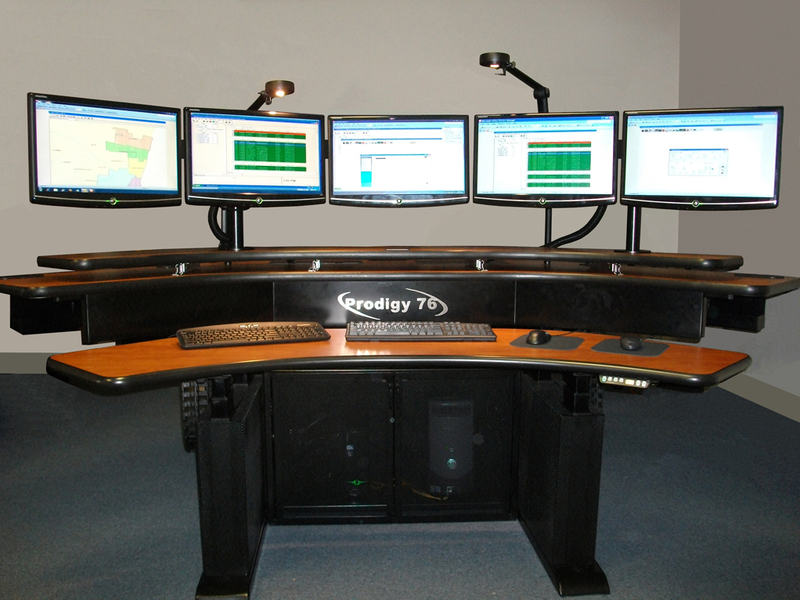 The Prodigy 76 Dispatch Console has been designed to meet and exceed the National Ergonomic Standards. 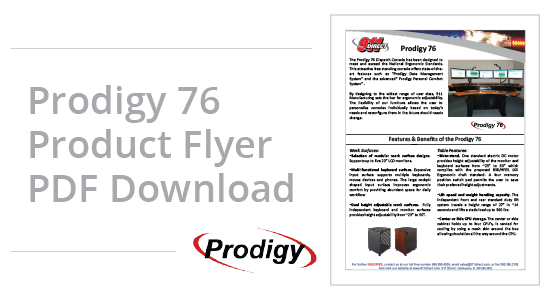 This attractive free standing console offers state-of-the-art features such as “Prodigy Data Management System” and the advanced“ Prodigy Personal Comfort System”. Selection of modular work surface designs. Supports up to five 20” LCD monitors. Optional Power Distribution Unit (PDU) The PDU provides quick disconnect and reconnect without having to gain access to the cabling below a raised floor. This “future ready” feature will significantly reduce downtime and cost associated to console relocation.